The Signal: What makes you the best candidate for president? 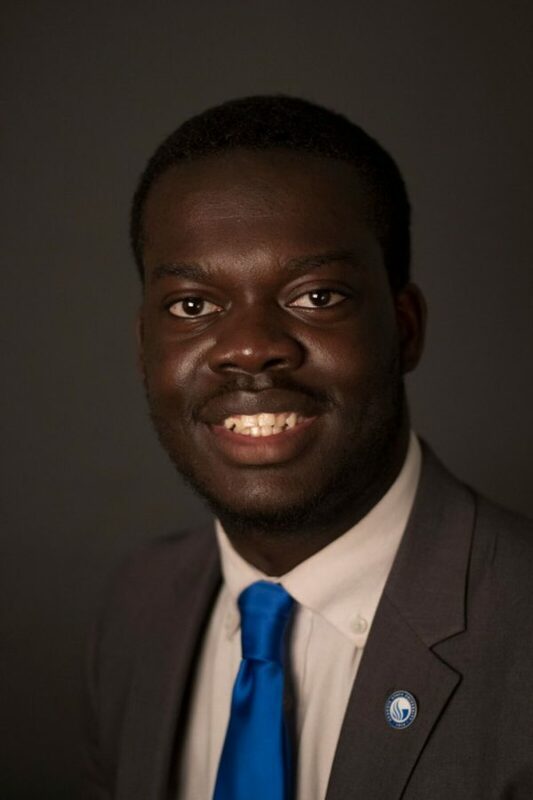 Franklin Patterson: During my entire career within SGA, my main concern has been for the students and doing everything in my power to improve every student’s welfare across Georgia State University. I believe that the primary goal of SGA is to represent each student voice no matter the issue and to make the life of each student easier. Since the consolidation, I am the only Presidential candidate who has had experience within both Perimeter and Atlanta’s campuses and student government organizations. Due to this experience, I am in a unique position where I understand the problems which plague both Perimeter and Atlanta students and have worked and am currently working towards solving these specific issues. I love this University and the students within it, my goal is to give back more than I can ever hope to gain and as President of SGA, I promise to continue to accomplish my aim to serve. 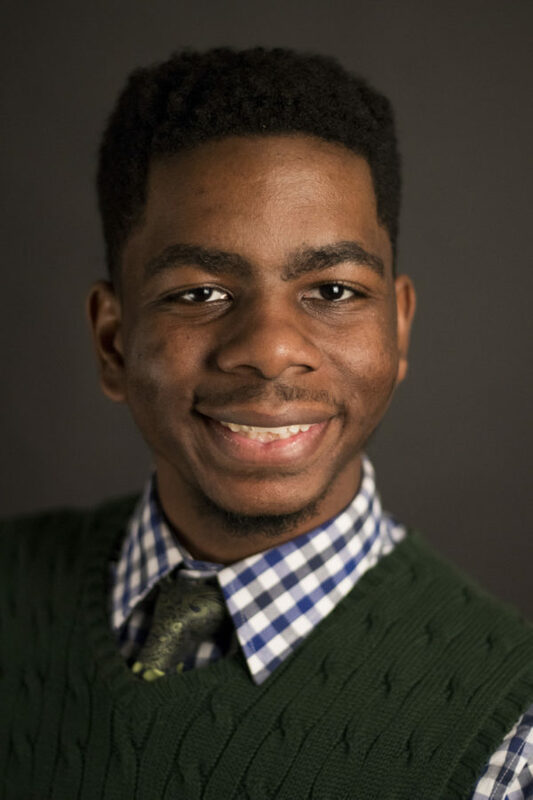 The Signal: What students concerns do you want to address first as SGA president? Franklin Patterson: Financial aid, advising, transportation, and public safety are the issues which affect every student across Georgia State and that is only to name a few. To choose only one issue to address not only does a disservice to the students we represent but also allows for issues to go unaddressed and left until next year instead of building a foundation to work upon. Financial aid has been a problem for most students since they first stepped onto campus from international, to out-of-state, and in-state students attempting to receive aid that they deserve. The advising office is also a problem for many students due to a lack of direction on which way to go and long wait times. Transportation has risen to be a prominent issue due to the construction of Courtland Bridge and the upcoming construction on Kell Hall. Public safety is also an issue due to the recent shootings across the nation and robberies which have occurred on campus. Not to mention a lack of a strong school tradition on campus, the need for a program to help students easily transition into the job field upon graduation, and a strong awareness of the fact that Georgia State is in the middle of one of the biggest cities for human trafficking. The number one goal for the President of SGA should be improving the student’s well-being which means that each and every issue is important and should be addressed as soon as possible. Which is why when I am elected President I plan to hit the ground running with my first 100 days strategy addressing the issues. 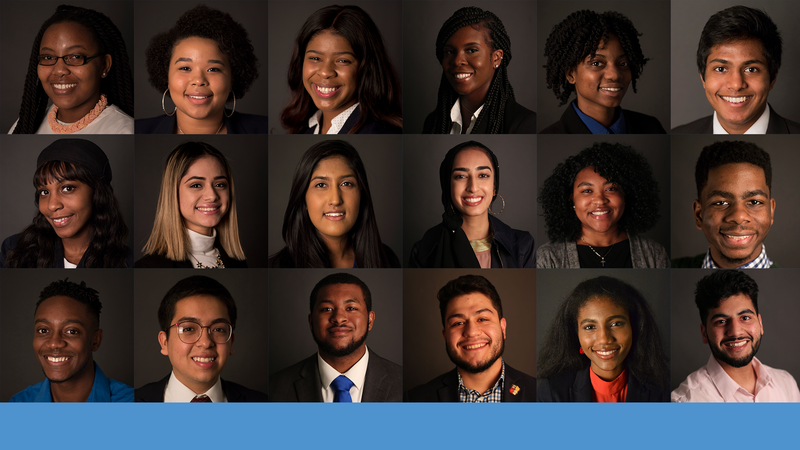 The Signal: How will you ensure that you are representing the student bodies from all 6 Georgia State campuses? Franklin Patterson: During my Presidency, I plan on making sure that I visit each and every campus across Georgia State at least once a month in order to talk to the students and hear their concerns.The trips I plan to take to each campus will consist of sitting in on an SGA meeting, attending a campus event, or talking to students in a town hall setting. I also plan on meeting with each Executive Vice President from each campus to discuss the problems our students might be having. A key part of making sure that every campus is represented would be in making sure that all seats within the legislature are filled with capable senators whose main mission is serving the students. As President, this is one of the goals I will work towards in order to make sure every student’s voice is being heard. Lastly, I plan on conducting a brief University-wide survey from SGA a semester which will ask students questions pertaining to their campus, Georgia State, and ideas of improvement. Terry Fye: No one can say they are the best candidate for president. If they do they’re lying, because ultimately a person should be judged for what their work says not their mouth. I can say that as a candidate I am completely and utterly in love with working in our Student Government. Georgia State is a place with amazing opportunities to help show their students that they can belong. I want to show students of this university a president who is truly in love with the work they are assigned and wishes to continue to serve the very people who helped them along the way. During my time in SGA, I made sure to assist wherever I could and provide a helping hand to every person. I love helping students and helping to navigate their journeys. Its awesome! Honestly the best way we get to know people is simply by saying five words“How can I help you?”. SGA to me stands for Service Guiding and Altruism! something has happened, because it’s impossible stop every crime. However, our University can still provide support to students affected and we as an SGA can follow up with students after incidents are had. A second concern I feel should be addressed is the appreciation of our students. Many throughout the entire academic year we see thousands of students struggle to survive the year and maintain their GPA’s. Ultimately we tend to forget how hard WE ALL work and hustle for our degrees and a better opportunity at Georgia State. We deal with long class hours, commuting through traffic, deadlines, and most of all each other! Despite what might be said on social media and what other people say, college students are the hardest working people on the face of this earth. I want our Student Government to continue to provide for the student appreciation and constant motivation by creating a genuine relationship and community for all. Because without us there is no Georgia State! Terry Fye: One of the best things to come out of President Gray’s tenure was his implementation of mobile office hours and his active involvement on EVERY Georgia State Campus. President Gray strove to learn every student’s name and succeeded in creating an inclusive SGA He has set a new expectation of his successor and redefined what it mean to be president I plan to not only uphold these traditions of mobile office hours and altruistic tactic, but I will also take time to listen to the voices of students who are not just full time. Georgia State University sees a large amount of non-traditional students who are returning to school in order to increase their opportunities in life. 62 percent of students on the NEW, ALP, DUN, DEC, CLK campuses are Part-time, so they may not get to actively engage with SGA. Many people are struggling just to get to work and back. It’s important that we still reach these students to find ways to expedite their education so they can graduate faster. I also plan to introduce a monthly “SGA Support Group” initiative on all campuses, giving students who are stressed the opportunity to vent about personal issues they face. Sitting in on these meetings will not only give me a better idea of what’s happening on each campus but also give students the chance to feel like they have Support. Sai Maddali: While my two opponent candidates are intelligent and passionate about GSU, I am the best candidate because I am dedicated to my constituents and understand the importance of solutions as quickly as possible. I know the effort that this role and you deserve; I intend on serving to that extent. My background as a Computer Science student will allow me to find innovative ways to solve student body problems effectively using current technology. Additionally, using an attitude of entrepreneurship, I can create solutions and grow them into viable programs. These skills combined will allow SGA to upgrade our ability of services. I plan on increasing methods and availability for students to interact with Student Government Association. If successful, these techniques will innovate how SGA works on initiatives and allow students to re-align our goals to their needs. 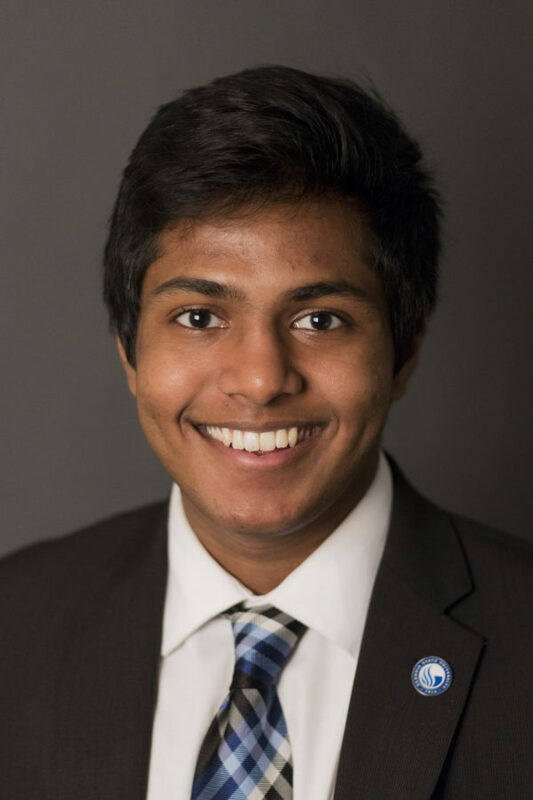 Sai Maddali: As SGA President, my first priorities will be towards creating programs for low-income students to have greater access towards essential resources. An example of such a program would be an initiative I am working on currently called Panther Career Closet which would allow students to obtain professional clothing for free for interviews and career fairs. Another top priority for me would be improving environmental sustainability on campus by increasing opportunities for students to discard waste whether that is in collaboration with the services that PantherDining uses or improved recycling. In addition to those important concerns, I would be focused on improving campus safety, increased options for vegan meals in dining halls, creating technology solutions for bus transportation, and cultivating a new change in culture for SGA–one that you can count on. Sai Maddali: I will ensure that I am representing our entire student body by continuing the conversations and commitment of mobile office hours across campuses. I will also increase communication between campuses with the development of an internet archive in regards to initiatives, how far along they’ve come, and those involved with the initiative. This type of tool would allow us to be more connected and keep SGA more accountable. I understand that these two actions will not ensure representation for the entire student body across multiple campuses; however, I also understand that not every campus is the same. Thus, I am committed to personalizing the experience towards creating the best solutions for each individual campus while also creating university-wide progress. I know that I will be available for every student regardless of campus because that is what Georgia State University students deserve; you can count on me.